Whatever is coming, we’ll face it together, as a family. As long as we’re together, we’ll be okay. I’ve read a few books about the Holocaust – both fiction and non-fiction and I’ve visited the Holocaust museum in Sydney. 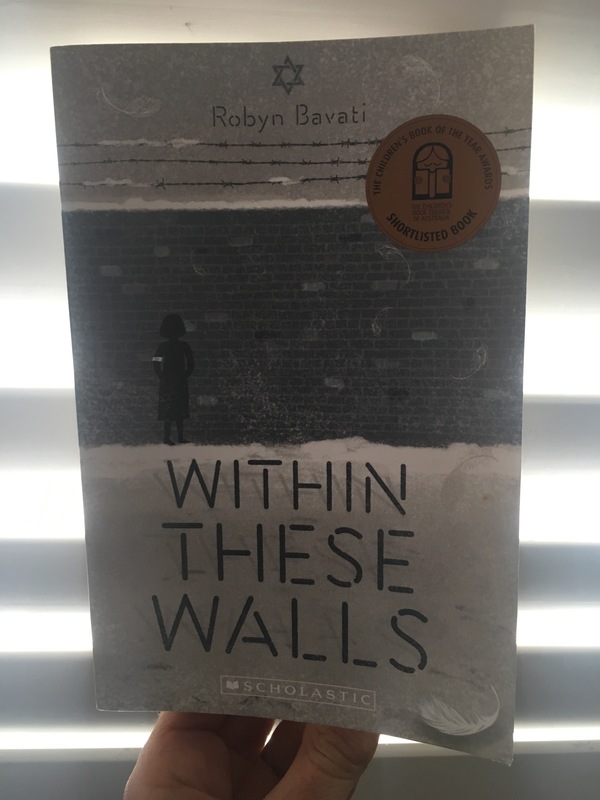 But this book written by Robyn Bavati opened up so many more terrible emotions as we see the unfolding events through the eyes of a young girl named Miri. 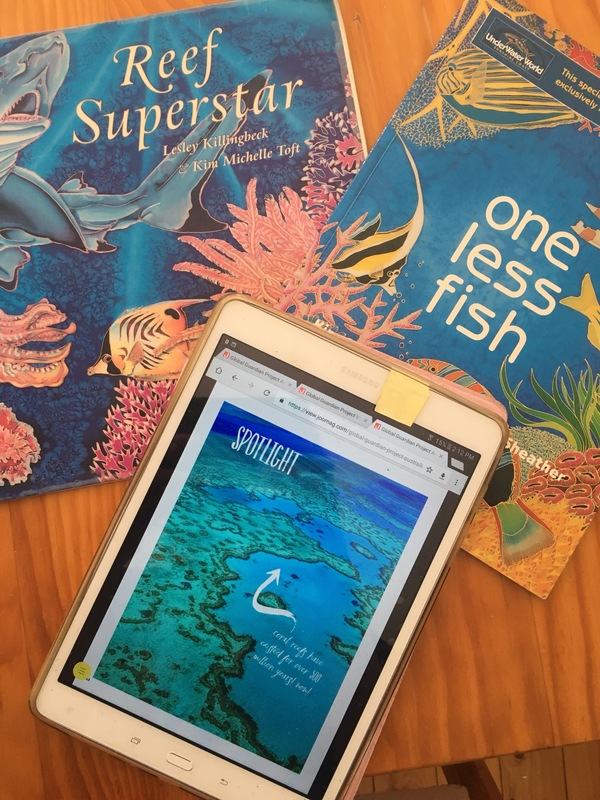 Bavati has created this work of fiction based on many different stories she gathered from interviews with survivors – so even though the final book and it’s characters are fictional, the stories are not, and these stories are heartbreaking. Robyn Bavati is an excellent storyteller on an issue that is so emotional. There are moments of joy, kindness and strength but overall you will be left wondering how this ever happened and perhaps how this still happens today. A book for children 11 and older but one to debrief on after and perhaps look further into the Holocaust and why it all happened. I read my first real graphic novel in my twenties – Persepolis by Marjane Satrapi – it was amazing. Not only the storytelling and the story to be told, but the fact that this huge and terrible part of history could be told in a simple and easier to understand way. Illegal by Eoin Colfer and Andrew Donkin also does just that. We are all very aware of the horrible refugee crisis in our world but perhaps many of us do not know of the journey that these people need to go through in order to reach a new country. 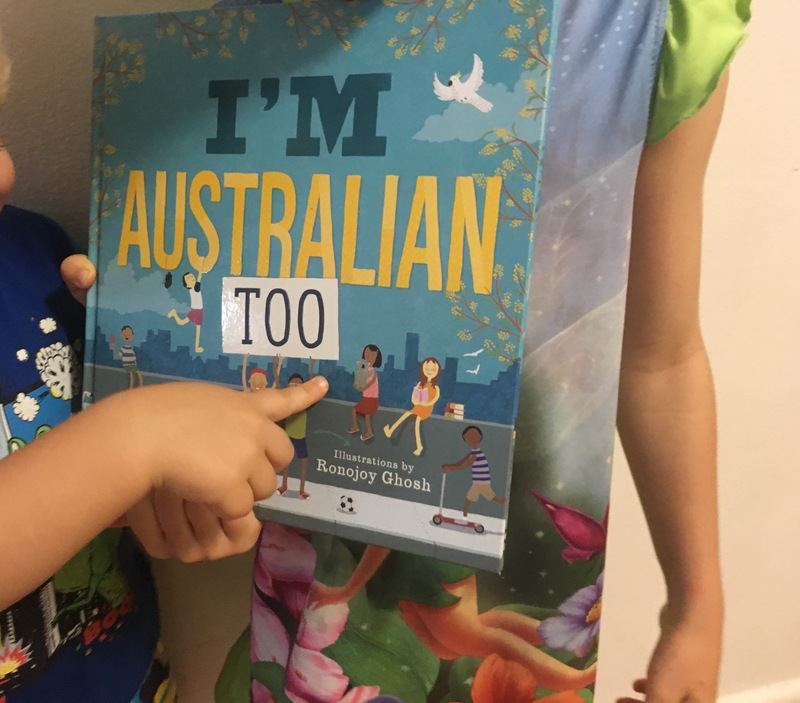 Told through the eyes of young Ebo, we learn about where he lives in Africa and his desire to leave his home town where there is no work and little family left. Following his older brother he makes a dangerous journey into the town of Agadez where he meets his older brother. It is there that they work hard to leave the city and make the perilious journey through desert and then the sea for a better life. 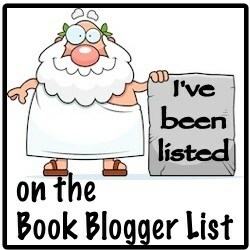 The reader experiences the highs and the many lows of Ebo’s journry. Giovanni Rigano’s illustrations show the reader the love, hope and desperation of the people. We are also able to see the harshness of the desert and the terror of the sea. Through Coulfer and Donkin’s storytelling we feel Ebo’s emotions, understand his desires and hope for a better future with him. We meet other refugees who also desire a better life and we learn why they risk everything in order to reach a country, which they think will help them. 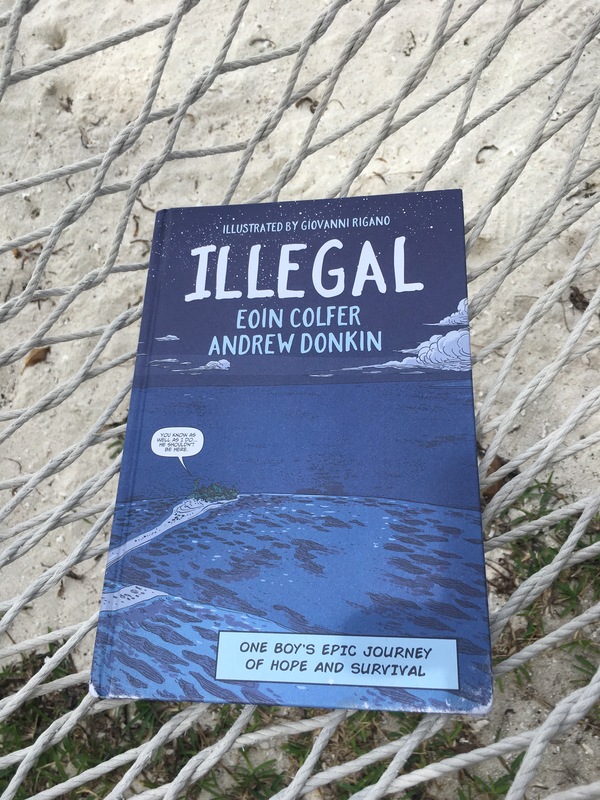 Illegal is a story that needs to be shared. The way refugees are treated by many countries is beyond comprehension and this story just shows how desparate theses people are. No one would ever undertake the journey if they didn’t need to. At the end of the story the reader can view a map with explanation of where Ebo travels which I found and those children I shared the story with most informative. There is also another short graphic story at the end of Illegal, that speaks to us about a young refugee woman. 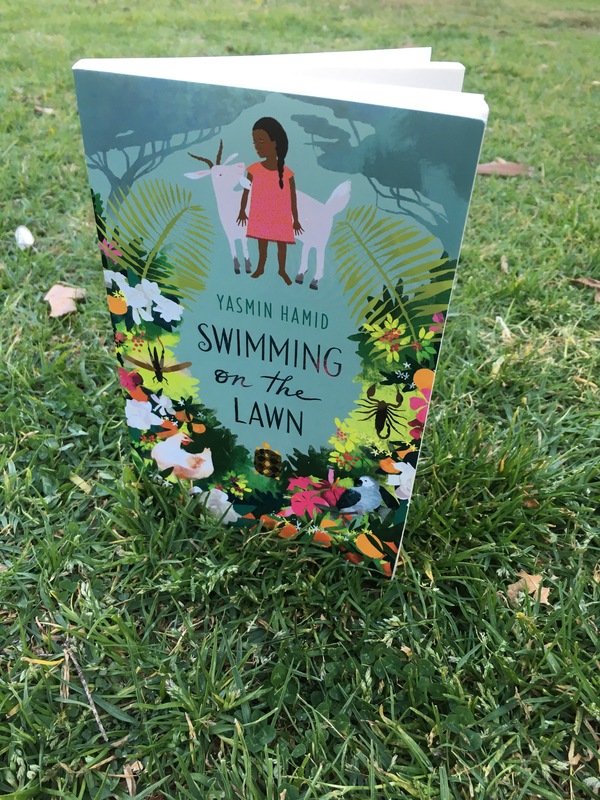 This story brings to light the plight of young women who may be travelling with young children or pregnant and their desperation to flee terror and poverty. Illegal is a story to share and a story to reflect on. It is a story that will hopefully stir emotion and action so that more people do not need to take these journeys. Find out where the refugees in your country are from and plot the journey they have taken to get to your country. Find some news articles that tell you a story about someone who has come you’re your country as a refugee. Find out how they came here, who they left behind or lost and what they needed to do. Look at how the graphic novel is set out and create your own graphic novel that will teach others about an important story like this one. See if there is a way you can help people who are refugees in your country. – Write a letter to your local member, Premier or Prime Minister. – Contact Local refugee organisations and see if there is any way you can help. – Raise awareness in your community by submitting a short graphic novel to the local newspaper or school newsletter. Learn more about the UN charter of rights and also the Rights of a child. Which rights did Ebo, his brother and many people not have along the journey? Can you think of anyone you know who is not being given all of their rights? 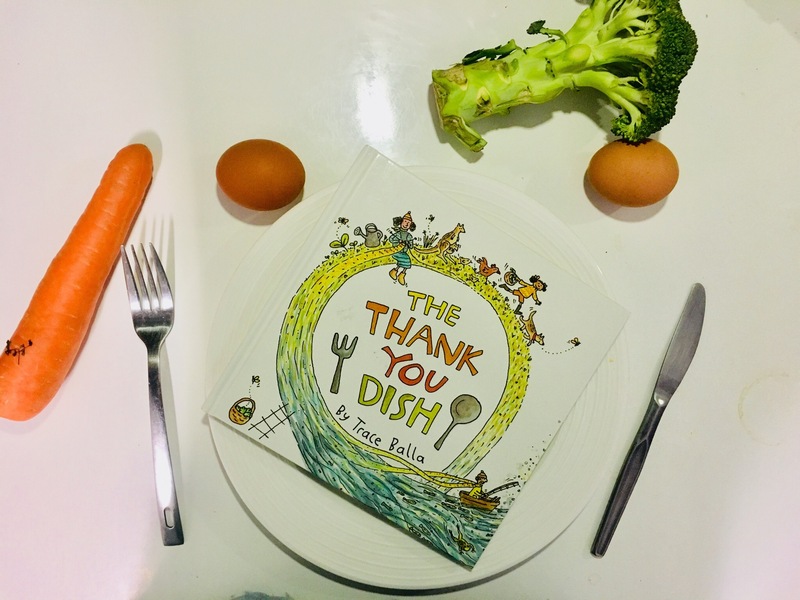 Perhaps you have signed the pledge to be plastic free in July or have been inspired by hearing about the terrible amount of plastic in our oceans and landfill? Perhaps you have started to think about how you will do without this single use plastic? Perhaps the thought of being without single use plastic sends you into a flutter? Or some things you just can’t do without? Our household has slowly consumed less plastic over the years but there are still moments when I feel quite a bit of eco guilt over bringing plastic home. Do you feel this? This eco guilt can be overwhelming but I think we all need to start looking at the positives, look at where you are making changes – even if they are small, because of that small change you are leaving less plastic waste behind. This week I tried to buy my meat from the butcher’s in a reusable container but due to Health and Safety regulations I couldn’t. I was very disappointed as not only was I nervous about asking, I was then not able to do what I thought was the best. On reflection (once I got over the disappointment) I realised that these bags could be recycled (RED cycle program through Coles) Or can be washed with hot, soapy water and reused for smelly nappies or on the go rubbish. So I guess what I am trying to say is – celebrate your wins. Celebrate what your family can do and what you can manage. Perhaps making your own bread is just too hard right now and even though there are single use bags, the butcher’s up the road is just too convenient while you have young kids or are getting home late from work. Aim for some swaps and give yourself time. We can all do this, one bit at a time. Buy a reusable cup that you can have take away hot drinks in. Buy your meat and vegetables in bulk from Coops or delivery companies. How does your family breakfast time look? How do you keep your family cool those hot summery days? Can you imagine living with your family underground? Perhaps you have pondered on these questions…perhaps you have wondered what the animal families might do in their family time too? 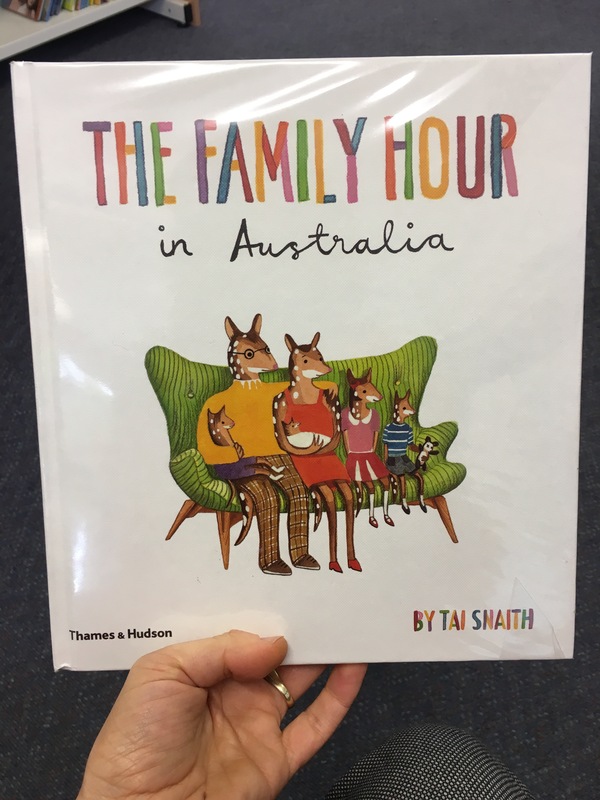 Tai’s illustrations bring warmth to each family’s activity and just shows that any type of family – no matter which type – are all important to the happiness of each other. Learn more about Australian animals, choose one that you do not know much about and find out how they live in Australia. Learn more about the different types of human families there are and why they are all so different – yet amongst that difference still so important. So how can you use this book at home? 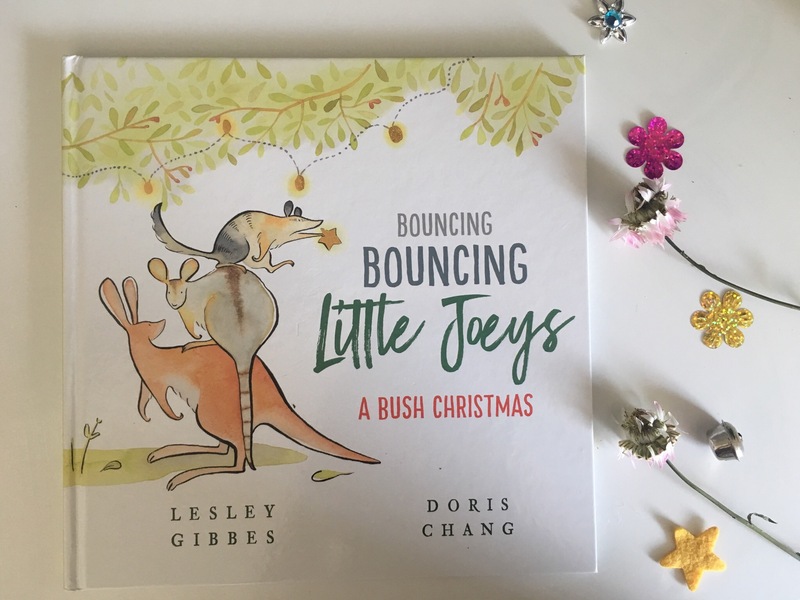 Another wonderful aspect of this story are the extra facts at the back of the book which also include if this animal is endangered – a great place to start a discussion on how we can help them out.